BRYAN EATON/Staff photo. 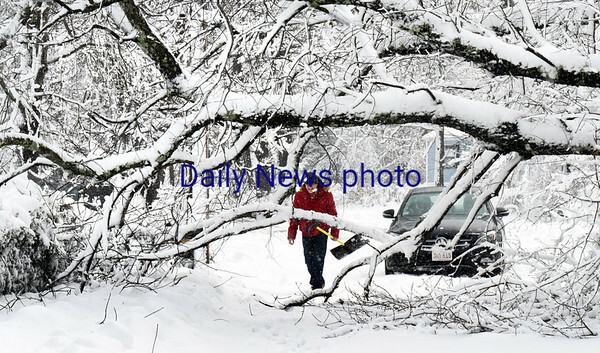 Mohammad Yamin checks out the tree that fell in front of his 12 High Street home in Salisbury. He hasn't moved in yet, but came by to shovel the walkway.